Jen Mazer, “The Queen of Manifestation” teaches us about the laws of attraction and achieving our dreams. 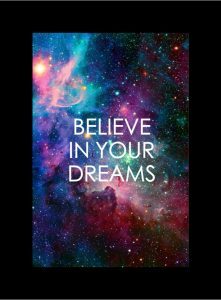 Do you think your dreams and aspirations choose you? Jen Mazer, “The Queen of Manifestation” joined us this week to teach us how to speak to the universe, tap into what we want, and how to get it! Jen’s answer to getting what you want in life is to harness the laws of attraction. For those “non-believers” out there, (we’re looking at you JG,) the law of attraction is a universal law, similar to the law of gravity. We believe in it even though we can’t see it. For more information on manifestation and making all of your dreams come true, visit Jen’s website, www.queenofmanifestation.com and check out her book Manifesting Made Easy. Allow your dreams to happen. While we still need to take actions, we have to allow our dreams to happen. Once you do that, things will open up for you. Be clear with what you want. Write down your goals. You want to be able to send a clear signal to the universe and like a boomerang, it will come back to you. Don’t be discouraged by challenges. Behind every obstacle is an opportunity. Shift your thinking to be grateful for roadblocks. What might appear as a challenge, may bring us closer to our destination. Have high energy. Having high energy, or “high vibes” will help you stay in a “flow.” If you have “stuck energy” there won’t be movement towards your goals. Don’t try too hard. Over-effort shows that you’re doubting the universe. You still have to take actions, but put your trust in the universe and remember you’re not alone. Ask for signs. The best way to find out if you’re on the right track is to ask the universe for signs, but make sure you’re paying attention! LISTENERS: WHAT DREAMS ARE YOU GOING TO MANIFEST? Send us your answer. Either leave us a voicemail at 1-646-653-9278 or send us an email. We may talk about it - or we may even talk with YOU - on the air! ← WiZdoms from the Football Field!